You know I'm always up for some free games these days. I've grown tired of buying games as much as I used to. In fact, I nostalgically recall the days when I would scrounge the bargain bins for that $5 or $10 game. Usually it would turn out to be something fun enough to spend days on end with, like the generally disliked Terminator: Future Shock, or an oldie but goodie like Ultimate Domain. And now, with the internet being as critically acclaimed as it is, you can even get your fix for free. I have long kept an eye out for quality free entertainment, being the starving artist that I am, in several great places. Long time ago I found that a great source to get some good free games is the projects page at Digipen. They have a great variety of very original games, not as dictated by the almighty dollar that so pervades the gaming industry. Two titles worth mentioning include Narbacular Drop and Rumble Box, though there are dozens more worth your attention. Some time thereafter, I also noticed that MegaGames has a huge library of freeware games. Currently it looks like there are about 53 pages worth of freeware. One drawback is that you don't have the option of sorting the list in any way, which can make it more difficult to find the higher quality titles. However, the main pages seems to list some of the more prominent games on the site, such as Alien Arena 2007, Savage, and Re-Mission. And if you are looking specifically for quality retro games, you need look no further than Home of the Underdogs. HotU has a long-standing reputation for finding those gems that tend to get by the mainstream radar. Many of their games are free, and an excellent database allows you to sort games by genre, title, release date, and rating. If you want to get your Bahamut Lagoon, this is the place. 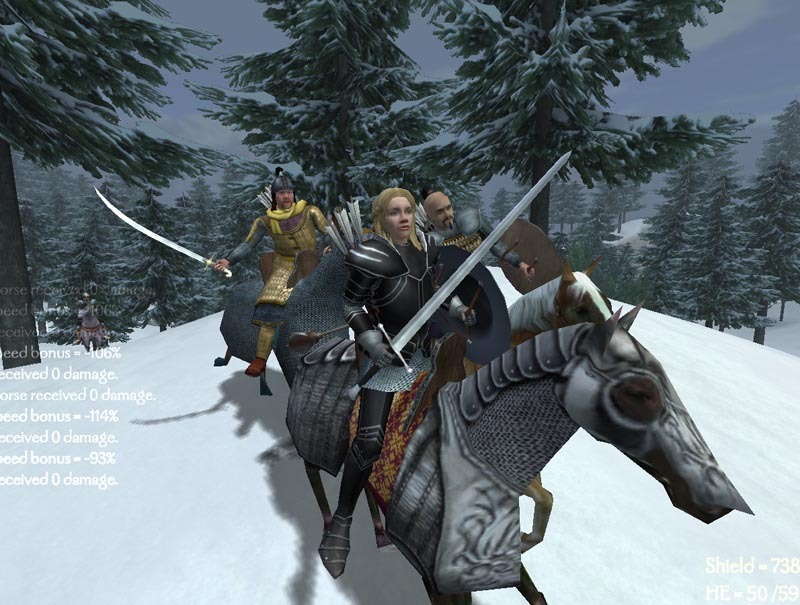 Though HotU has more recent releases such as Mount & Blade listed as well. Most recently, however, Planet Freeplay joins the fray. Or, at least I have discovered it most recently. I immediately took to the clean and nostalgic site design, which sports a friendly interface and clean lines. Hit the Top 100 downloaded games to see the best, and you'll find goodies like Gunz and Cave Story among a slew of other titles. You may not exactly find a free title that will have the graphics whore in you drooling like the day Half Life 2 or Oblivion came out. I'll admit that. But hell, these games are free. And most of the time I want a good game to play. And often times I want an original one. So this is where you'll find 'em folks. I don't care if you're broke and your PC is five years old, or even if you're running Linux. There are hundreds of games out there waiting for you. No internet? No problem. Go to the local library and load up. It's a good time to be a gamer, even if you have an empty fridge.